Submissiveness? What if I disagree? Now that I’ve set some groundwork, we can move on to this activity. I got the great craft idea from Kathy Hutto. 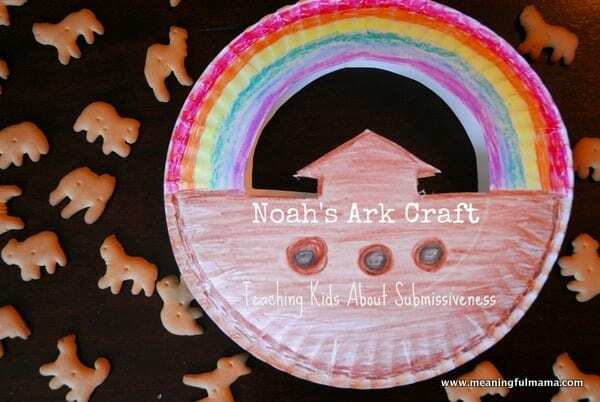 First, I want to explain some of what I said to my kids in regard to Noah and submissiveness. I asked the kids if they thought it was easy for Noah to be submissiveness to God. There was no logical reason to be building an ark and his peers would have been giving him a hard time because they didn’t trust God. Yet, Noah submitted and it saved his life. I asked the kids who we submit to first, and they said God. I then talked about how God gave them their dad and me as their parents and how God asked them to, “Obey their father and mother.” Therefore, they need to submit to us. I also talked about how I submit to their dad. I told them that there are other adults that are put in their lives that they’ll need to submit to – like teachers, leaders, bosses and coaches. I explained that the person we submit to first is always God, so if a leader asks us to do something that goes outside of what God asks of us, we need to submit to God first. We talked about how we should not submit to peers or leaders who are asking us to do something that is not right. Abby got out our word ring and read us the verse for our submissiveness week. 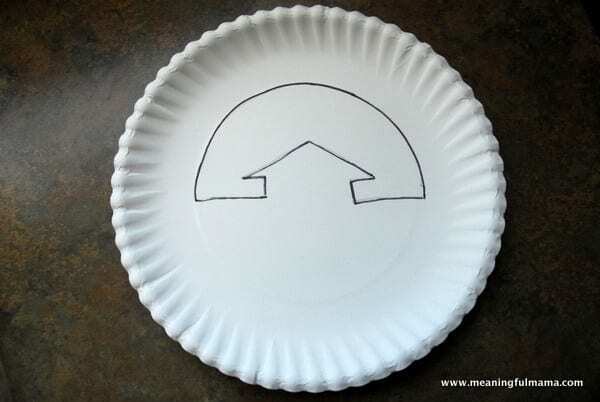 On a paper plate I drew a very simple ark shape. I then attempted to cut it out. You can see it was a rough cut. I thought it might work better with a different technique. I decided to use an Exacto knife instead, which not only looked better in the end, but it also was easier to do. Of course, this was the preparation I did. 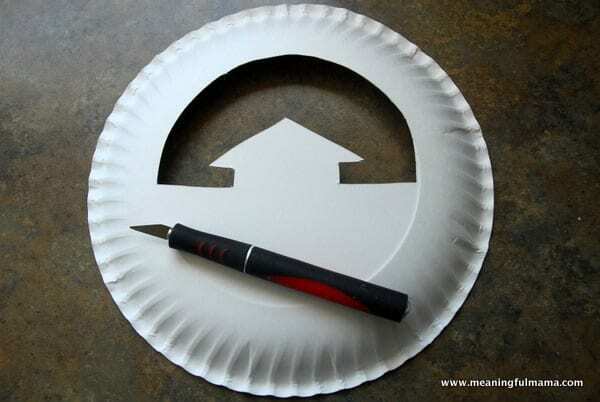 I definitely know my kids aren’t ready to use an Exacto knife, and the scissors would have been too hard for them. If you are using this for Sunday School, I would recommend prepping it before. 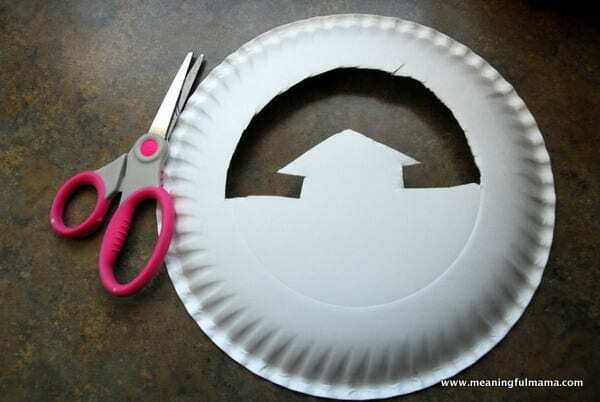 Each child will need two paper plates because you put the two together to make a carrier. The next step is to let the kids color. 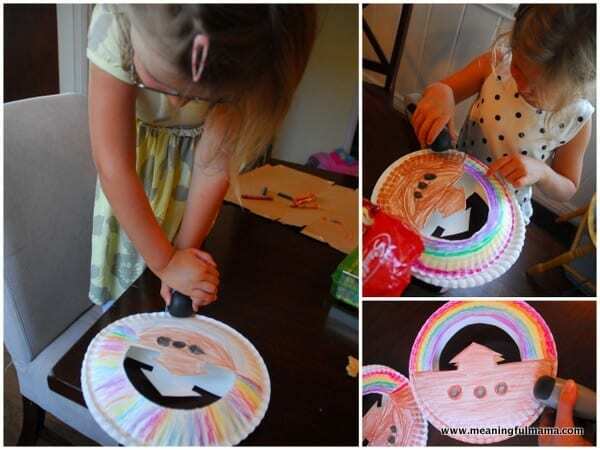 I said the kids could color the rainbow like a arched rainbow (which was Abby’s choice) or a rainbow pattern going along the arch (like Kenzie chose to do). 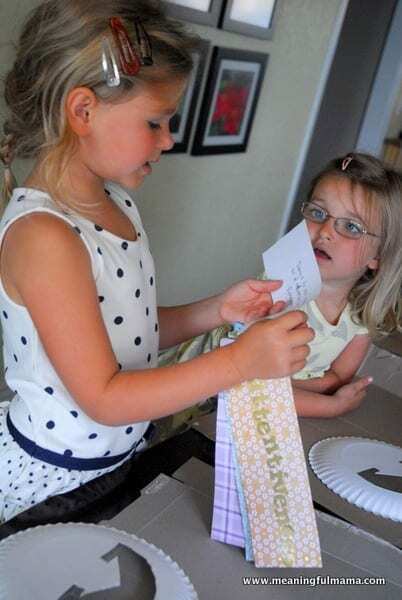 The girls were able to stable their own two plates together. You will want to just staple around the edge of the ark. Do not staple the rainbow. This acts like a little carrier or purse with the rainbow as the handle. 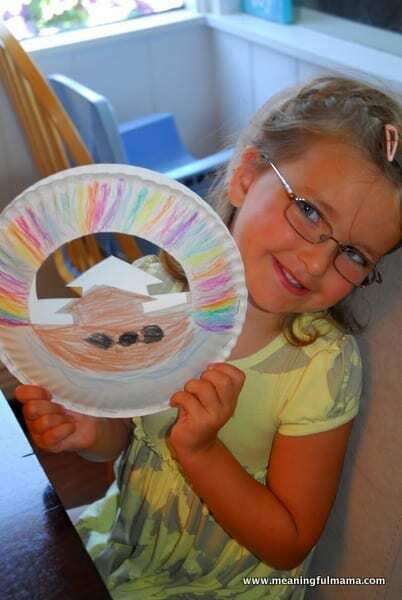 Here is Kenzie with her finished product. 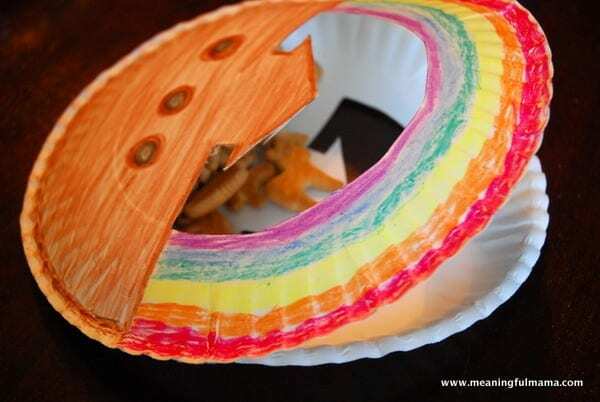 One of the more fun parts of this craft is that it becomes a carrier, and what is better for an ark than Animal Crackers? 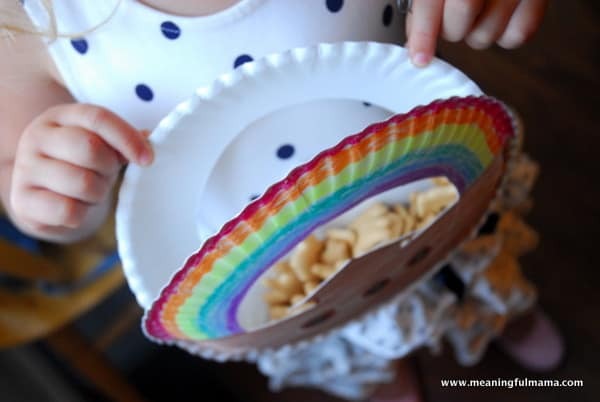 We filled our Ark with our snack…Animal Crackers. 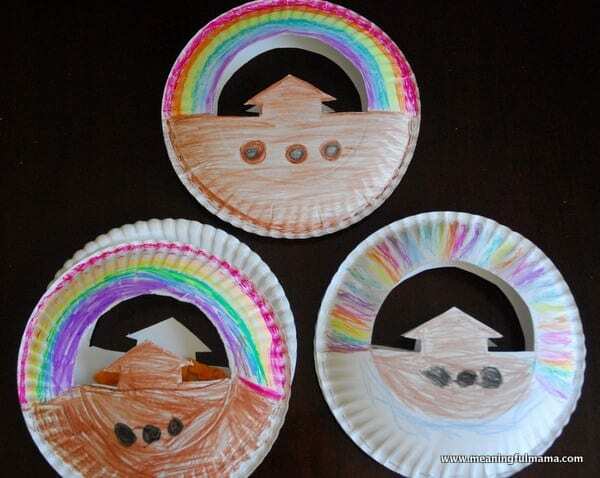 Here are our three arks. Corban didn’t have a desire to make his own, so I ended up coloring his. 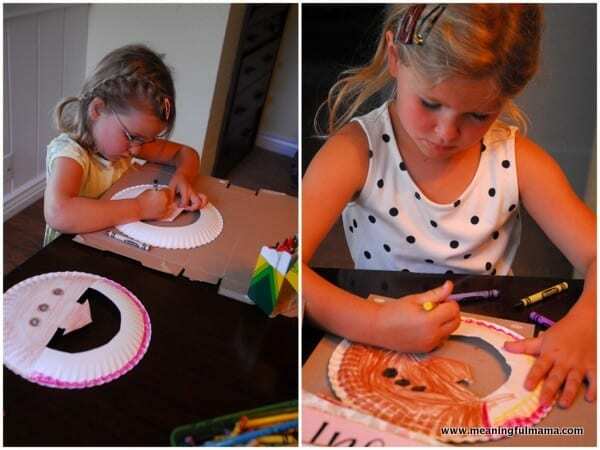 What a great idea, cant wait to do it with nursery class. So glad to help. Thanks for letting me know you will be using it!